Not valid with any other offers. Extra for Pick-Ups, SUVs, Minivans & Large Vehicles. Vehicle must fit on conveyor. Restrictions apply. Coupons may not be combined with any other offer. With Valpak® coupon only. Must present coupon at time of order. Coupon void if altered. Expires 05/05/2019. Includes Regular Wash. Large vehicles $10-$20 Extra. With coupon only. Extra for Pick-Ups, SUVs, Minivans & Large Vehicles. Vehicle must fit on conveyor. Restrictions apply. Coupons may not be combined with any other offer. With Valpak® coupon only. Must present coupon at time of order. Coupon void if altered. Expires 05/05/2019. Large vehicles $10-$20 Extra. With coupon only. Extra for Pick-Ups, SUVs, Minivans & Large Vehicles. Vehicle must fit on conveyor. Restrictions apply. Coupons may not be combined with any other offer. With Valpak® coupon only. Must present coupon at time of order. Coupon void if altered. Expires 05/05/2019. Is your car looking rough around the edges? When it’s lost its luster, it’s time to put it in the hands of the professionals at Beach Cities Car Wash in Venice, CA. 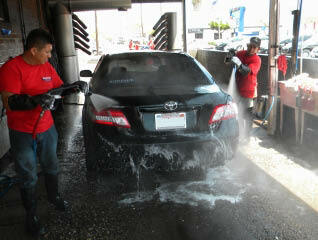 We offer one of the highest quality hand car washes or automatic detailing automobile washing services in the area. 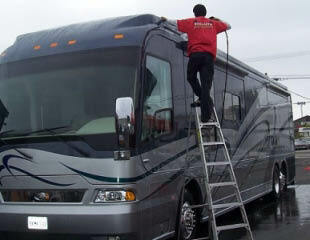 With just a nominal fee for our premium service package, we’ll wash everything from top to bottom. Our advanced systems offer a variety of functions for dent and bumper repair and window tinting. Before you bring your ride by for a shine, grab one of our printable coupons to save! Trackless Wash System, No Conveyor (Protect Your Rims), Computer Workstations, Free Wireless Access, Direct TV, Car Wash, Custom Detailing, Window Tinting, Dent and Bumper Repair, Fleet services. Beach Cities Car Wash is located in Venice, CA and services Mar Vista, Playa Del Ray, Westchester, Fox Hills and surrounding areas.